ACT school canteens follow the National Healthy School Canteen Guidelines. These guidelines inform ACT canteens on what they can and cannot serve in the school canteen. They aim to support healthy eating in children, to achieve optimal health and limit poor nutrition in adulthood. The ACT guidelines use a colour spectrum that extends from GREEN to AMBER to RED in order to classify foods. GREEN foods can be sold in school canteens, and they should dominate the menu. These are foods that can be found in the Australian Guide to Healthy Eating, such as fruit, vegetables, lean meats, dairy and grains. AMBER foods should be limited in school canteens and carefully selected when putting the menu together. Depending on their serve size, kilojoule (energy) content, fibre and saturated fat levels, a food may be either AMBER or RED. You can use the National Healthy School Guidelines canteen calculator to determine if an item is allowed in the school canteen or not. RED foods are not allowed in ACT school canteens. All deep-fried foods, sugar-sweetened drinks and confectionery items are automatically RED foods and CANNOT be sold in ACT school canteens. You can access the full guidelines here: National Healthy School Canteen Guidelines. Members of Healthy Kids can access a range of support options to help them keep in line with guidelines as well as promote healthier options in schools. Support includes canteen recipes, record keeping templates, menu reviews and advice from our team of dietitians. 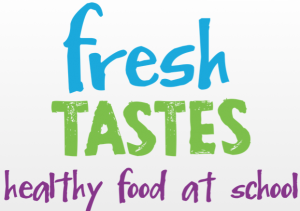 Fresh Tastes is a program in ACT schools aimed at developing a culture of healthy food and drinks throughout the whole school environment. Fresh Tastes is a partnership between ACT Health and the ACT Education and Training Directorate and the Catholic Education Office. All ACT schools are invited to participate in Fresh Tastes. If you would like more information email freshtastes@act.gov.au or phone (02) 6205 1452. You can download this Fresh Tastes Flyer the new Go For Green guide or go to the website to learn more. Canteen Fresh ACT is one component of Fresh Tastes. Canteen Fresh ACT supports school canteens to sell healthy food and drinks. ACT Health has partnered with Nutrition Australia ACT to implement the National Healthy School Canteen Guidelines through Canteen Fresh ACT. Canteen Fresh ACT services include: canteen menu reviews, a canteen advisory service, canteen manager training and regular communication. All schools regardless of participation in Fresh Tastes can access Canteen Fresh ACT services free of charge. Visit Nutrition Australia’s ACT’S website for more information. We’ve built a calculator that specifically looks at the National Healthy School Canteen guidelines and will help you determine if a food product is AMBER or RED. You can use the calculator by clicking here.